The major goals of SAXIER were successfully achieved and the working prototypes were designed and manufactured to dramatically improve the efficiency of SAXS as an analytical method. 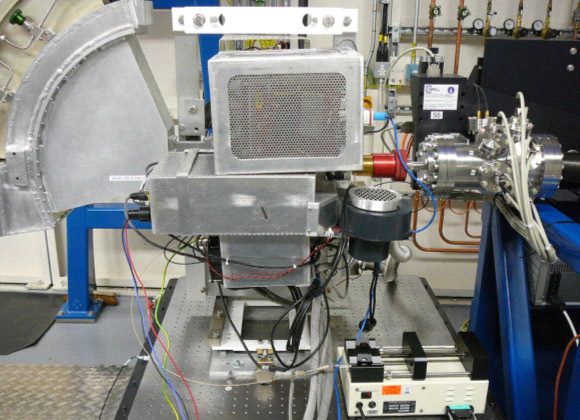 The ESRF team developed X-ray optics focussing the beam down to 100 nm and nanomanipulation tools to perform scanning experiments on tiny samples. An optical microscopy, X-ray fluorescence and Raman spectroscopy setup are available for comprehensive in situ analysis. 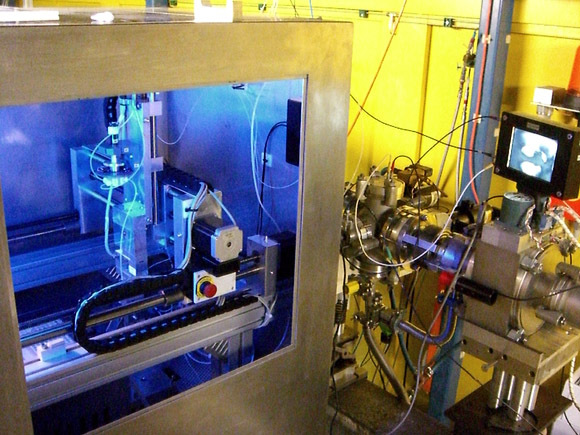 These unique developments required an over 100 meters extension of the ESRF ID13 beamline, and the scanning nanogoniometer is kept in the experimental hutch with temperature variations better than 0.05 degrees to ensure stability. ID13 nanobeam endstation (ESRF). 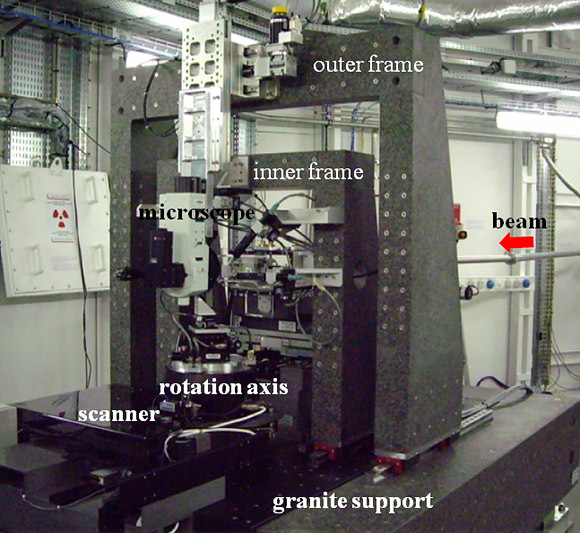 The scanning nanogoniometer and X-ray optical system are installed on a common low-vibration "inner frame" while components introducing more vibrations such as motorized optical microscopes are installed on an "outer frame". A collaboration of ESRF, Elettra and EMBL lead to novel microfluidic sample environments to characterize macromolecular solutions, chemical and biological reactions and nanofabricated functional surfaces. 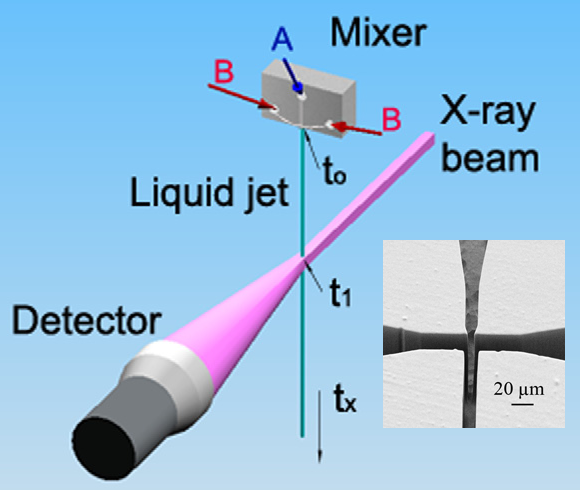 In particular, time resolution below 100 μs was achieved in SAXS studies of fast reactions using a novel ballistic micro-drop or continuous flow jet-mixer. EMBL and ULIV designed novel SAXS experiments on cryo-frozen solutions (allowing in particular to stall (bio)chemical reactions) and on gas phase (e.g. on macromolecules jet coming out from a mass spectrometer). In both cases, the proof of principle was successfully demonstrated and the working prototypes were constructed. Major effort of EMBL and SOLEIL was invested in the automation of the experiment and data analysis, which is a must for any modern physical experiment and especially important for large scale SAXS applications. A gel filtration chromatography setup (GF-HPLC) was coupled with SAXS to purify the macromolecular solutions on-line and to study transient phenomena. A robotic sample changer was designed and coupled with an automated pipeline to analyze SAXS from macromolecular solutions. 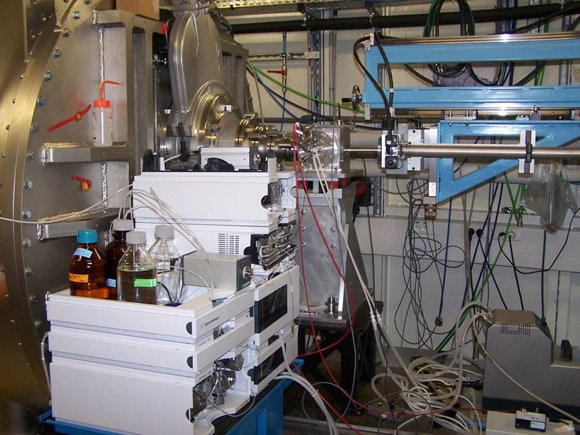 The fully automated system running at the EMBL beamline X33 was employed to perform the world's first remote SAXS experiment. The declared goals of SAXIER were successfully achieved and the working prototypes were delivered, which all include world unique hardware and software solutions. The prototypes are already opened for external use at the consortium beamlines but also publicly available for implementation elsewhere. The consortium published over 60 papers acknowledging SAXIER support, including high impact ones and made over 100 oral presentations at scientific meetings. Examples of the integrative role of SAXIER are the Europe-wide microfluidic initiative, started from the SAXIER-sponsored workshops and the forum on the SAXIER Web page, which became the world largest software forum in SAXS with nearly 300 registered users. Overall, SAXIER served as a core of a unified European SAXS infrastructure using the most advanced methods.